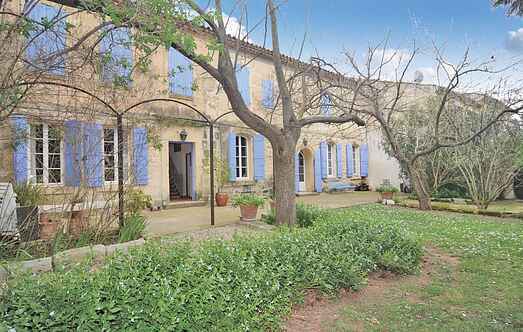 Find a vacation home to rent in Arles from our list of vacation rental properties. Campaya has over 25 vacation homes available in Arles, which give you the possibility to locate a unique accommodation in Arles which completes your check-list in search for the perfect self catering vacation apartments in Arles or vacation villas in Arles. This charming holiday home with private swimming pool forms part of an authentic Provençal bastide and is situated close to the medieval city of Arles. This two bedroom holiday villa is situated close to Saline de Giraud: the largest salt marshes in the Camargue. Lovely holiday home with swimming pool, quietly located in the Camargue, near the Salins de Giraud, ideal to discover the Bouches du Rhone. This two bedroom holiday apartment is situated in the heart of the Camargue. It boasts a pleasant terrace and a lovely garden. Holiday house in the Camargue, near Salins de Giraud, with a superb view of the beautiful landscapes of this unspoiled region. The beautiful city of Arles awaits you with this charming holiday home located in the city center. This cosy three bedroom holiday villa is situated close to Saline de Giraud: the largest salt marshes in the Camargue. This lovely two bedroom holiday home is located close to Saline de Giraud: the largest salt marshes in the Camargue. Holiday house with shared swimming pool in the Camargue, near Salins de Giraud, ideal for a stay under the sun of Bouches du Rhône.